Cornerstones also provides a rigorous essential skills framework that outlines the end of year expectations in all subjects. These essential skills are tied to activities and are age related so that staff can track children’s progress and identify their individual learning needs. To find out more about these stages please click here for the link to the Cornerstones website. We hold four parent workshops a year to share our approach to teaching and learning and ways in which you can support your child. Workshops for each cycle are held at 9am, 2.30pm and 5.30pm to provide as much flexibility as possible to enable parents/carers to attend. 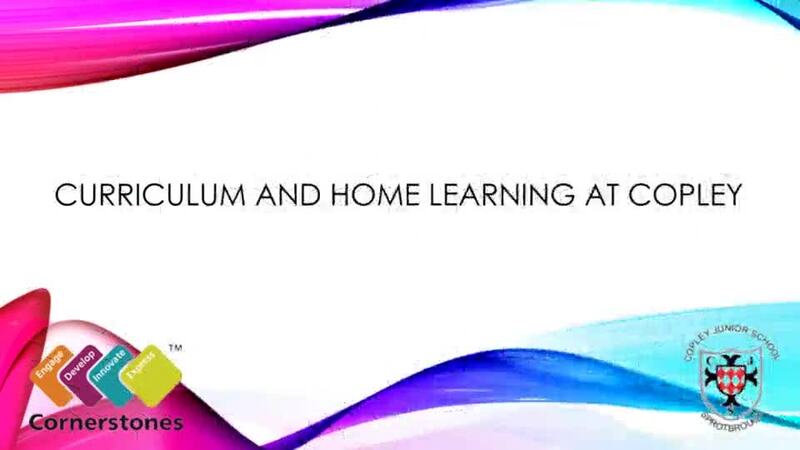 The presentation from our most recent parent workshops on our approach to curriculum delivery and home learning is shared below and includes a soundtrack of children from different year groups talking about their learning in school.